"Artwork by the great @MrEdgardoNYC, no relation (although probably some relation, who we kidding, it's Puerto Rico)"
The flag represents pride and hope for many Boricuas. 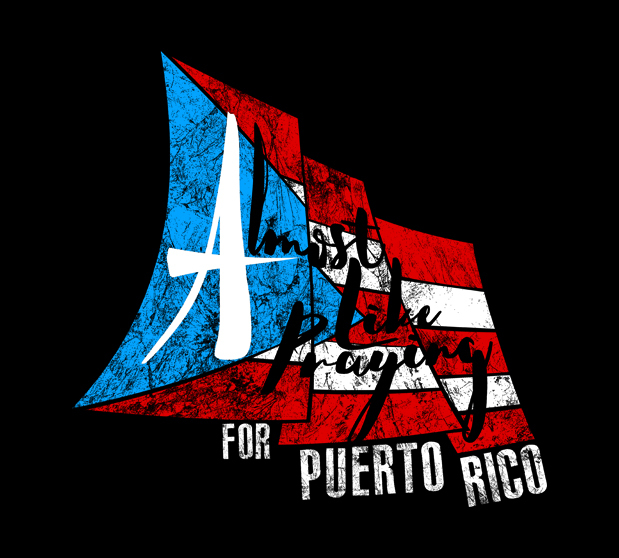 This design in particular is inspired by the wood cutting and screen printing art most common on the island of Borinquen. Although it is slightly distressed, it still waves, showing its resilience like those that continue to help rebuild Puerto Rico. Working on a 7 day production schedule, crews were gathered in New York City, Los Angeles, and Miami to document the making of Almost Like Praying. The music video since has gone viral accumulating over 7 million views.